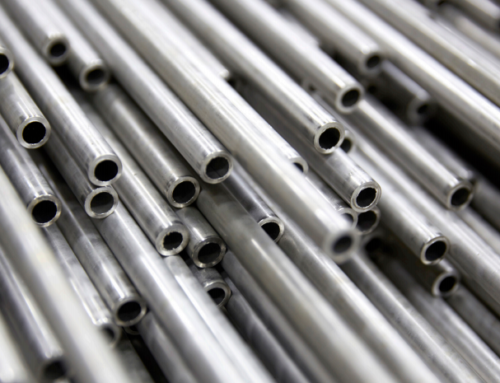 The most common seamless stainless steel tubing is the 300 series of alloys, which are available in varieties of high-performance, corrosion-resistant types and sizes. These stainless steel alloys most commonly include chromium, nickel, molybdenum and titanium, and are ideal for seamless coil tubing because they are easy to maintain and can withstand high pressures and temperatures. The difference between a 300 and 300L series stainless steel is that an ‛L’ series has 0.03% maximum carbon content. This lower carbon level is preferred for welding conditions. Low carbon levels increase the resistance to intergranular corrosion (IGC) whereas standard 300 series carbon levels are limited to of 0.08% maximum. However, lower carbon levels (‛L’ series) in stainless steel tend to render the material softer than higher carbon levels, where the hardness and strength of the material may be an important factor in the applications. As for cost, in most cases 300 series stainless steel and 300L are equally priced. Yet prices vary widely when introducing ‘exotic’ materials, as we will discuss later. 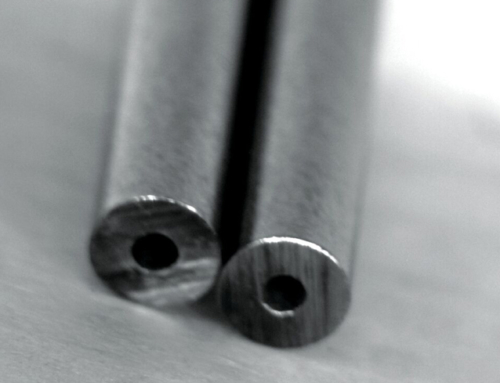 This non-magnetic alloy is the most widely used of all stainless steels and is also among the least expensive. Both 304 and 304L are austenitic stainless steels with approximately 18% chromium and 8% nickel. Alloy 304 has excellent weld ability and forming characteristics and is used for heat exchangers, chemical processing, and milder chemicals. Type 304 stainless steel is resistant to moderately aggressive organic acids, such as acetic acid and reducing acids. In addition, post-welding heat treatment and rapid quenching improves corrosion resistance in this alloy. 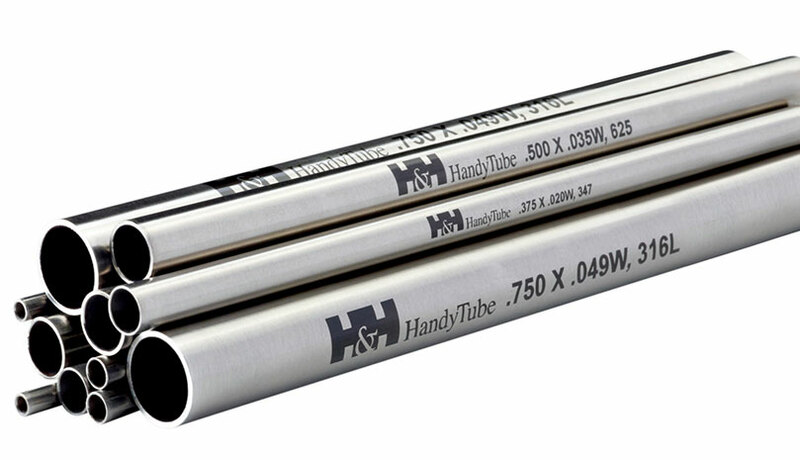 This is an austenitic chromium-nickel stainless steel containing molybdenum and is also ideal for seamless tubing. The addition of molybdenum ensures more resistance to pitting and crevice corrosion in chloride-containing environments. Properties are similar to those of alloy 304, except 316 tubing also provides greater creep, stress-to-rupture, and tensile strength properties at higher temperatures. 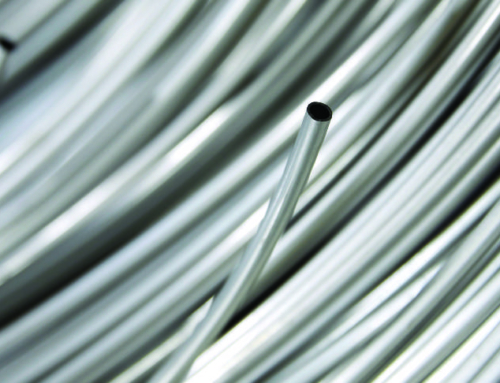 316L is a low-carbon modification of standard 316 tubing. The control of the carbon to a maximum of 0.035% minimizes the problem of carbide precipitation during welding and permits the use of the steel in the as-welded condition in a wide variety of corrosive seamless coil tubing applications. Alloy 316/316L 2.5% minimum Moly is enhanced with an addition of 2.5% (min.) to 3.0% (max.) 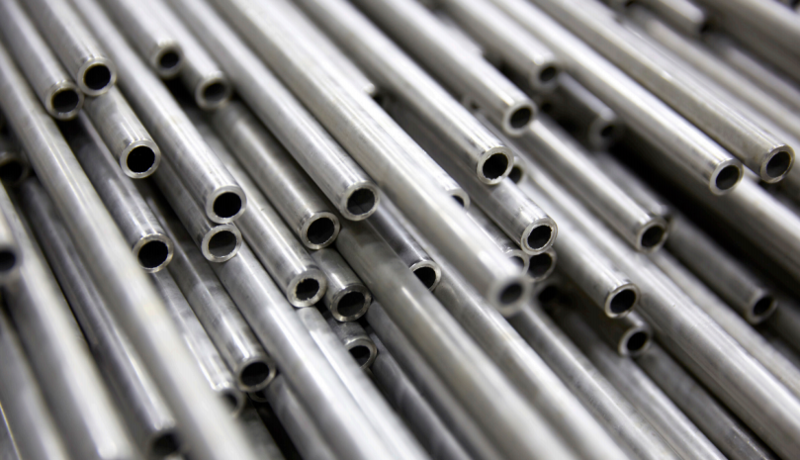 molybdenum, which provides superior corrosion resistance for seamless tubing compared to alloy 304 or even standard 316 tubing with lesser controlled Mo content. It has improved resistance to pitting and crevice corrosion as well as sulfates, phosphates and other salts, such as sea water. It helps reduce acids and solution of chlorides, bromides and iodides. In environments that are sufficiently corrosive to cause intergranular corrosion of welds and areas affected by heat, 316L is preferable because of its low carbon content. It is important to note that this alloy is susceptible to intergranular corrosion (IGC) if it is exposed to temperatures above 800 °F (427 °). In addition the yield and tensile strengths reduce as service temperatures increase. 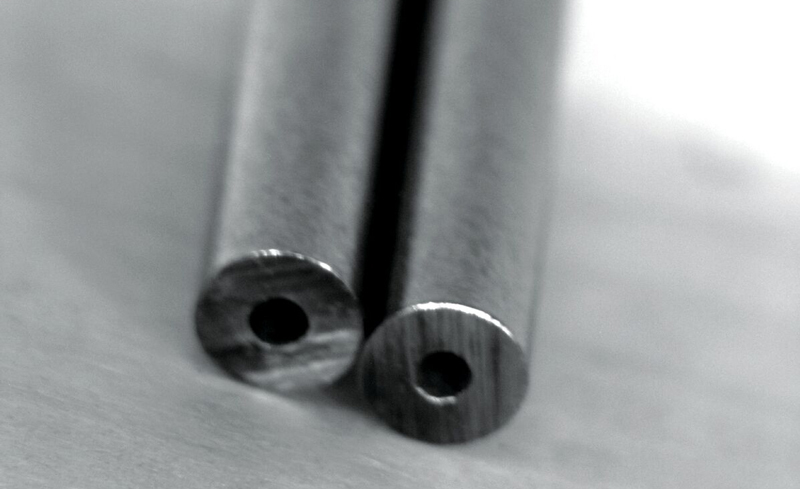 This is a molybdenum-bearing low carbon grade stainless steel that exhibits greatly increased resistance to chemical attack and IGC in seamless stainless steel tubing compared to 304L and 316L. 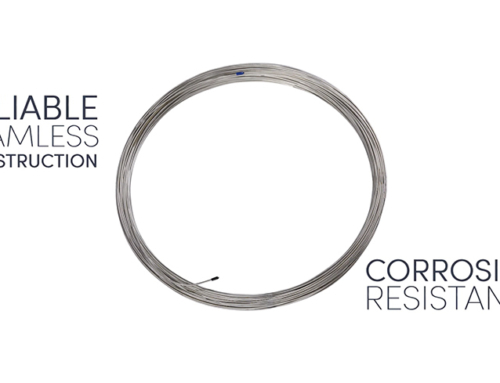 It offers higher creep, stress-to-rupture, and tensile strength for seamless coil tubing at higher temperatures compared to more common stainless steels. In addition, because of the higher molybdenum content of 3.0% to 4.0%, alloy 317L has superior resistance to many organic and inorganic chemicals. For those applications that require material to perform at higher service temperatures, titanium-stabilized 321 stainless steel is the best, yet more expensive choice. Alloy 321 is similar to 304 in its chemical makeup, yet contains the addition of titanium of at least five times the carbon content. This addition reduces or eliminates chromium carbide precipitation, which results from welding or exposure to high temperatures. Maximum stabilization is accomplished by annealing between 1,750° and 1,850°F. This alloy has extensive use in seamless coil tubing where operating temperatures are greater than 800°F, and where corrosive conditions are not too severe due to its resistance to scaling and vibration fatigue. As with all 300 series stainless steels the yield and tensile strengths reduce as service temperatures increase. 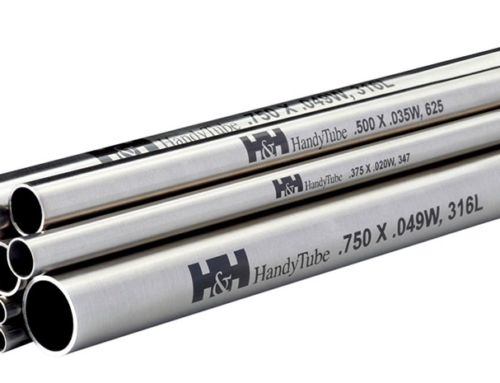 Alloy 347 seamless tubing has excellent resistance to intergranular corrosion following exposure to temperatures in the chromium carbide precipitation range from 800 to 1,500°F. It is stabilized by the addition of columbium and tantalum. 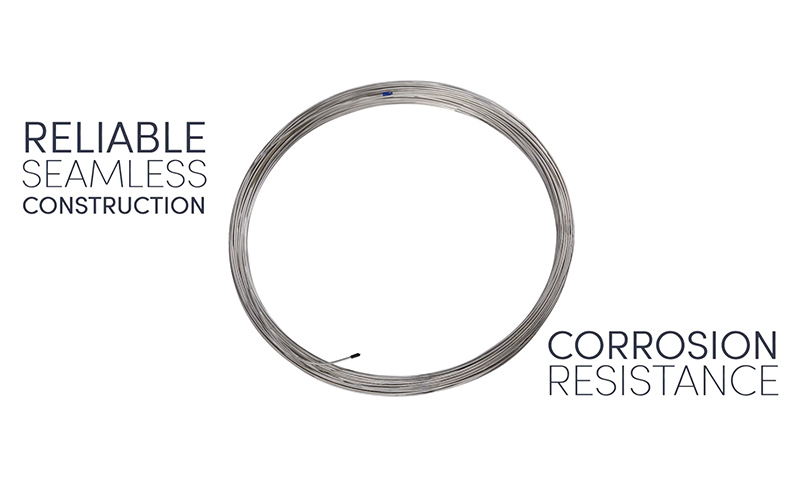 It is also ideal for high temperature seamless stainless steel tubing due to its good mechanical properties. In addition, when compared to alloy 304 and 304L, 347 alloy provides increased stress rupture and creep properties. Mechanical properties, and corrosion and heat resistance all affect the chemical composition of the stainless steel. As the composition of the steel changes, so do the properties. This affects the performance of the material in differing applications and ultimately the price. More expensive, ‘exotic’ alloys demand a higher price. For instance, 321 stainless steel that incorporates titanium is much more expensive than a 304 with the same physical dimensions. A standard 316 chromium-nickel stainless steel containing 2.0% molybdenum is less expensive than its 2.5% minimum molybdenum counterpart. Corrosion or Heat Resistance, the primary reason for specifying stainless. The specifier needs to know the nature of the environment and the degree of corrosion or heat resistance required. Mechanical Properties, particularly strength at room, elevated or low temperature. The combination of corrosion resistance and strength is the basis for selection. Fabrication Operations and how the product will be made (e.g., forging, machining, forming, welding, stamping, roll forming, four-slide operations). Total Cost, including material and production costs and considering the cumulative savings of a maintenance-free product with longevity.